Mr. Sanjay Ghodawat is a businessman and an educational entrepreneur by profession. He is a Mechanical Engineer and also a qualified trained Pilot to fly both Helicopter and Fixed Wing Airplane. 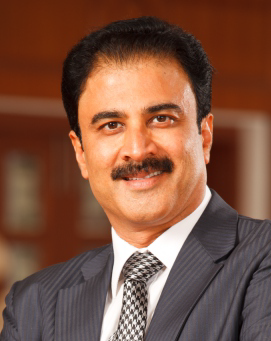 He heads the Sanjay Ghodawat Group as its Chairman and the Sanjay Ghodawat University as President. His business ventures span from the India's largest Floriculture & Horticulture to others like Energy, Realty, Aviation including Airplanes and Helicopters, Education, Textiles, Marble Mining, Consumer Products. Currently, Sanjay Ghodawat Group has more than 10,000 employees under its aegis. He is recently elected as the Chairman of Jain International Trade Organization Engineering and Management Program. In 2009, with the attitude of giving back to the society, he ventured into the Education field with the establishment of Sanjay Ghodawat Group of Institutes offering Engineering, Management, Polytechnic, International School, Junior College, Olympiad School, Administrative Services, IIT & Medical Academy. Within eight years the institute features in Asia's fastest emerging private educational institute as surveyed by WCRC and KPMG in India. Currently it has 15000 students under its banner from KG to Ph.D. level. The institute has been already accredited with the NAAC ‘A’ grade and also its various programs have received accreditation through NBA. The Times of India ranked the institute with 44th Rank in the Nation. The natural further evolution was the formation of Private University and since 2017, the Institute has evolved as Sanjay Ghodawat University offering Undergraduate, Post Graduate and Doctoral programs. Rajesh Ghodawat is the Partner at Ghodawat Consumer Products LLP. Rajesh Ghodawat joined Ghodawat Textiles LLP as a business partner after completing his graduation. 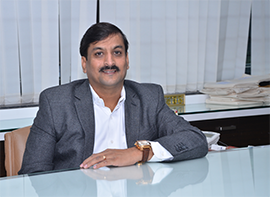 Currently Rajesh is heading Ghodawat Textiles LLP and the Rice division of Ghodawat Consumer Products LLP. Ghodawat Textiles is manufactures a wide range of fashion and functional fabrics. Rice Division has a sophisticated plant having Buhler Germany technology with manufacturing and processing facilities having 8MT per hour production capacity for Basmati and Non-Basmati rice. Rajesh takes care of all commercial negotiations and finalization for the SGG’s capital goods requirement. He plays a significant role in all strategic decisions and its implementation for the SGG Companies. Shrenik Ghodawat is the Director of Sanjay Ghodawat Group (SGG). 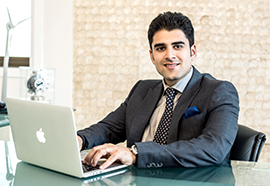 Shrenik Ghodawat forayed into family business at the age of 19 years and have taken the Group to the greater heights of success with his grounded and dynamic approach. Shrenik has completed his Bachelors in Business Management from Centre for Management Studies Bangalore and International Masters in Business Administration from United Business Institutes Belgium. Shrenik, as a partner of Ghodawat Consumer Products LLP (GCPL), spearheads the operations, finance, human resources and strategy functions. He also is actively involved in the brand building, mergers and acquisitions, national and international partnerships, corporate governance, etc. for SGG. He has been actively involved in setting up the complete business processes and is now looking to take all the product offerings of the group to National and International levels. 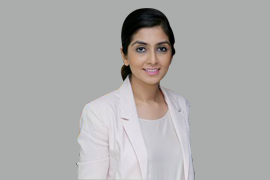 Salloni S. Ghodawat is the Partner at Ghodawat Consumer Products LLP. Salloni is a Chartered Financial Analyst (USA) and has completed her Finance and Global Commerce Degree from University of Western Ontario (UWO), Canada. Salloni looks after the daily operations and is involved in designing and driving sales strategies for Consumer Business. She works closely with the entire sales team and ensures the distribution expansion, brand awareness, revenue growth, etc. Salloni is also responsible for development and streamlining of different plant operations and personally monitors KPIs across businesses like revenues, sales outlet activation and performance, site utilization, sales team deployment and other related sales activities. Mr. Sanjay Ghodawat is a businessman and an educational entrepreneur by profession. He is a Mechanical Engineer and also a qualified trained Pilot to fly both Helicopter and Fixed Wing Airplane. He heads the Sanjay Ghodawat Group as its Chairman and the Sanjay Ghodawat University as the President. His business ventures span from the India's largest Floriculture & Horticulture to others like Energy, Realty, Aviation including Airplanes and Helicopters, Education, Textiles, Marble Mining, Consumer Products. 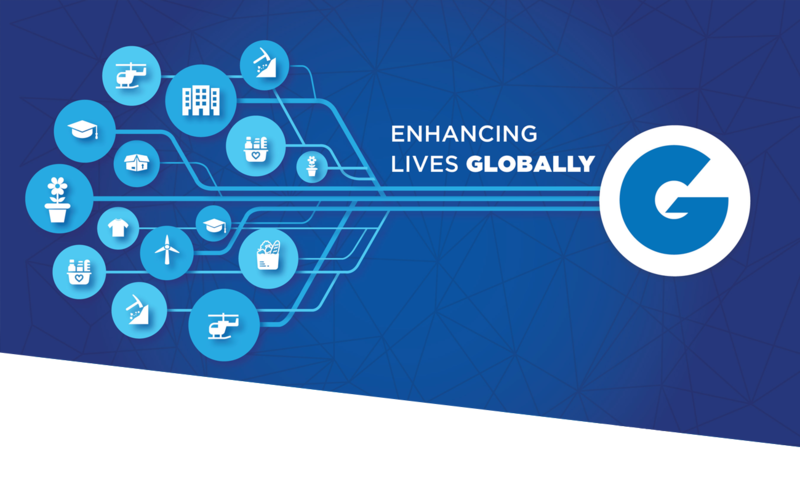 Currently the Sanjay Ghodawat Group has more than 10,000 employees under its aegis. He was also recently elected as the Chairman of Jain International Trade Organization Engineering and Management Program. In 2009, with the attitude of giving back to the society, he ventured into the Education field with the commencement of Sanjay Ghodawat Group of Institutions offering Engineering, Management, Polytechnic, International School, Junior College, Olympiad School, Administrative Services, IIT & Medical Academy. Within eight years the institute is being counted as Asia's fastest emerging private educational institute as surveyed by WCRC and KPMG, India. Currently it has 15000 students under its banner from KG to Ph.D. level. The institute has been already accredited with the NAAC ‘A’ grade and also its various programs have received accreditation through NBA. The Times of India ranked the institute with 44th Rank in the Nation. The natural further evolution was the formation of Private University and from 2017-18 the Institute has evolved as Sanjay Ghodawat University offering Undergraduate, Post Graduate and Doctoral programs. Ideal Business Award of Maharashtra. 50 Outstanding Educational Entrepreneurs of India. Economic Times Award for Inspiring Business Leaders of India. Samaj Bhushan Gaurav Award for his philanthropic services to society and notable work in Education and Business sectors. Game Changers of Maharashtra Award by Economic Times. As a true son of the soil he has always held an attitude of giving and through CSR and ISR activities extended his helping hand in times of need. He has donated to the families of soldier martyrs from time to time; he also has helped many drought affected farmers of the Kolhapur – Sangli region through his generous contribution, extended aid in times of calamities like earthquakes, floods, running a school for blind at Miraj, etc. He runs the charitable trust under his Mother's name, 'Sou Sushila Danchand Ghodawat Charitable Trust'. He has started a blood bank 'Shree Acharya Tulsi Blood Bank' under this Trust. He has wholeheartedly supported budding International level sports people from our nation and contributed to NGOs like Olympic Gold Quest, which is into grooming sports personnel for Olympics. Shrenik has many accolades to his credit at young age and has recently got felicitated with an award “50 Most Influential Under 50 in India” by Asia One. Salloni works closely with various business units and product development teams, to ensure products designed and developed are to suit the customer needs without any compromise on quality. Salloni spends her major time in product innovation and new product development, R&D and CSR activities across SGG. Salloni has been recently awarded ICONIC INSPIRATIONAL WOMEN OF NAVBHARAT AWARD.